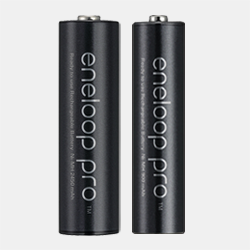 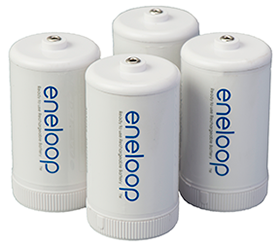 eneloop “C” and “D” size spacers allow for eneloop AA batteries to be inserted and utilized in “C” and “D” size battery applications. 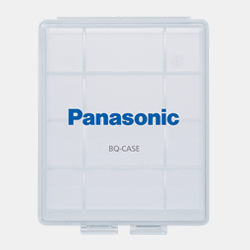 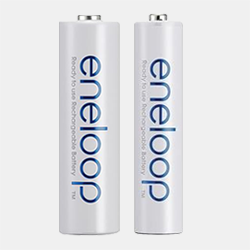 The battery cells maintain their original eneloop AA cell performance characteristics including up to 2000mAh,* up to 2100 recharges** and will hold 70% of their charge for up to 10 years*, when unused and stored properly. 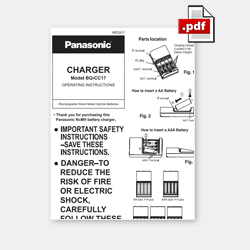 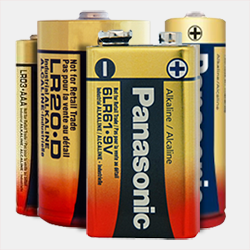 These adapters are a great alternative when “C” and “D” size batteries are not available. 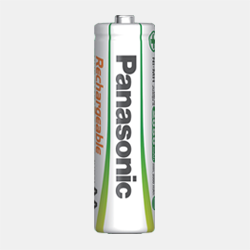 Battery life (per recharge) will vary based on the application. 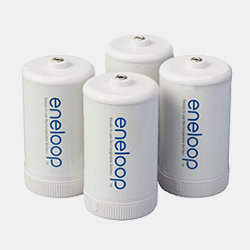 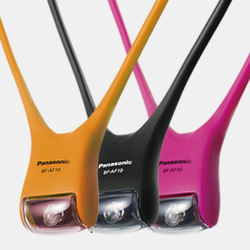 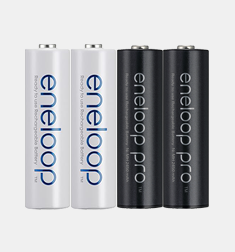 eneloop batteries can be recharged over and over again (up to 2100 times*) and they are convenient and easy to use. 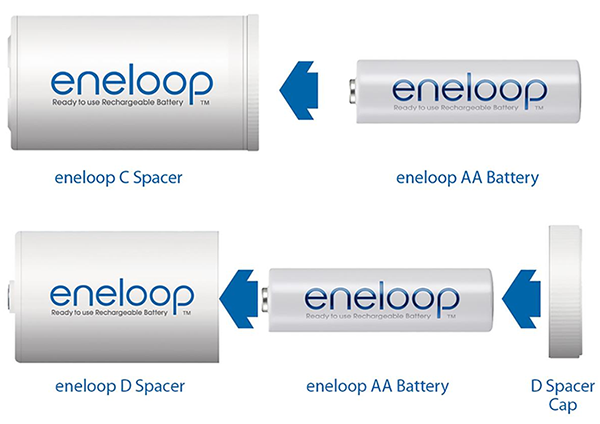 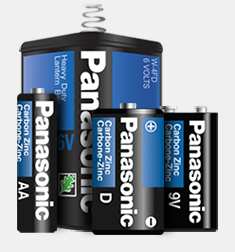 Simply insert a charged eneloop AA battery cell into the “C” or “D” size spacer. 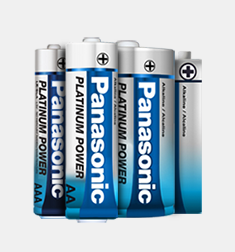 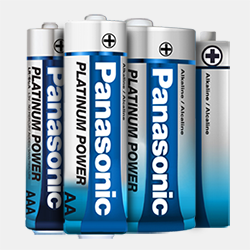 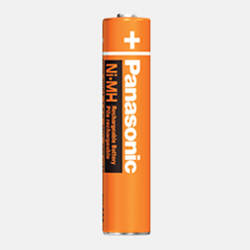 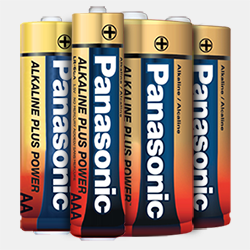 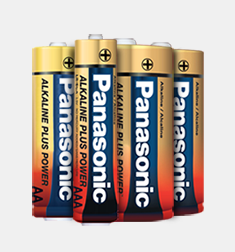 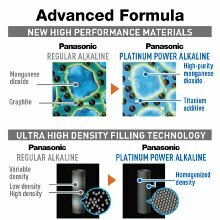 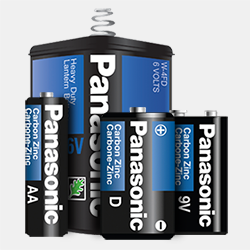 Once the AA cell is in inserted into the battery cell it is ready to be used in the device. 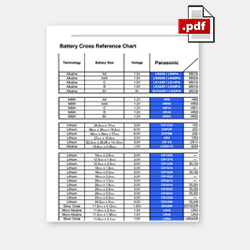 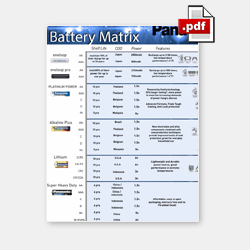 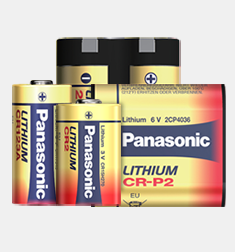 **Battery life based on testing method established by IEC 61951-2(7.5.1.3). 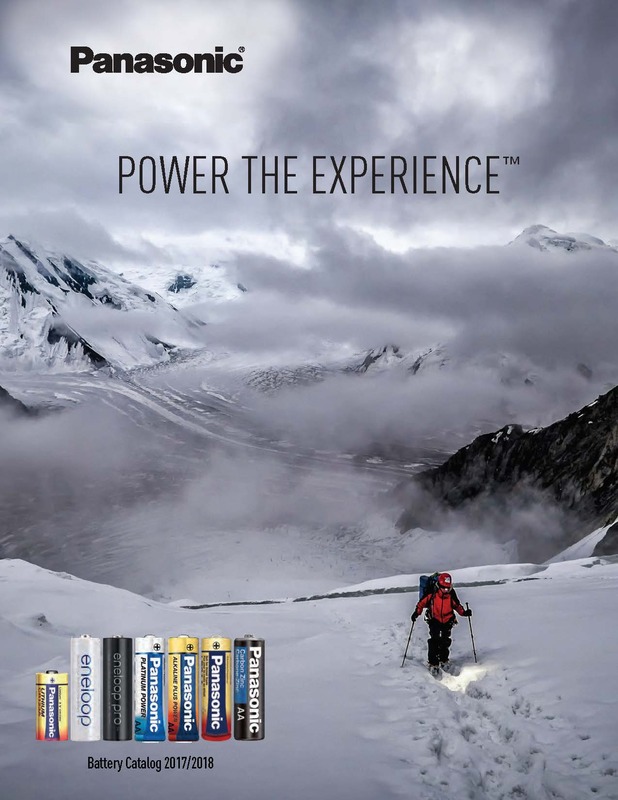 Results may vary based on conditions of use.